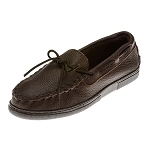 Minnetonka 0950 - Genuine natural moosehide - outdoor casual leather that's soft and supple with no break-in required. 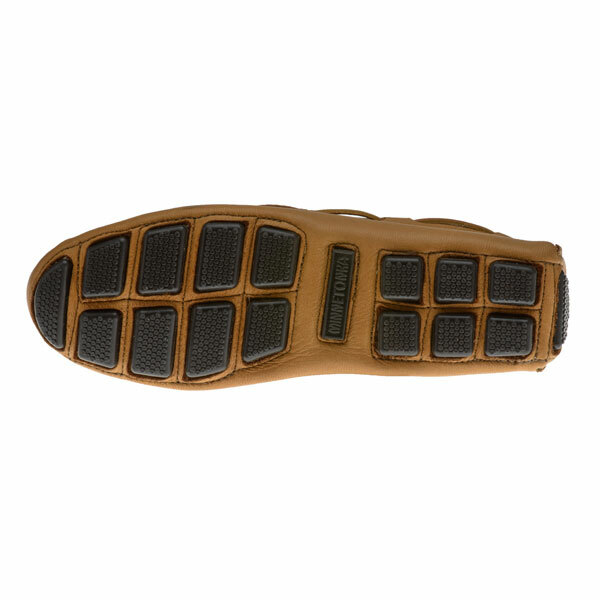 Hardsole, new long-wearing nub pattern, cushion insole. 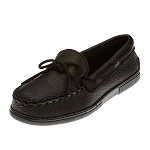 Traditional style with wraparound laces that tie with a bow for a custom fit. Extra large sizes. Other colors available. 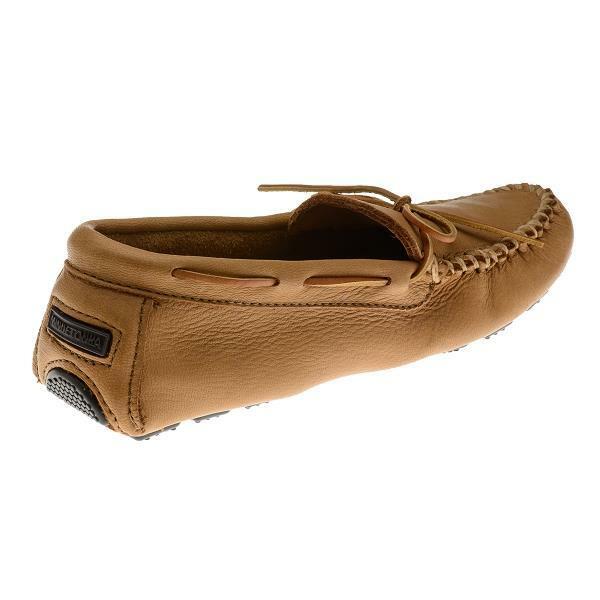 Minnetonka 0950 - Genuine natural moosehide - outdoor casual leather that's soft and supple with no break-in required. Hardsole, new long-wearing nub pattern, cushion insole. 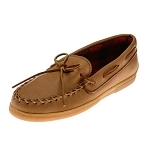 Traditional style with wraparound laces that tie with a bow for a custom fit. Extra large sizes available. Other colors available. 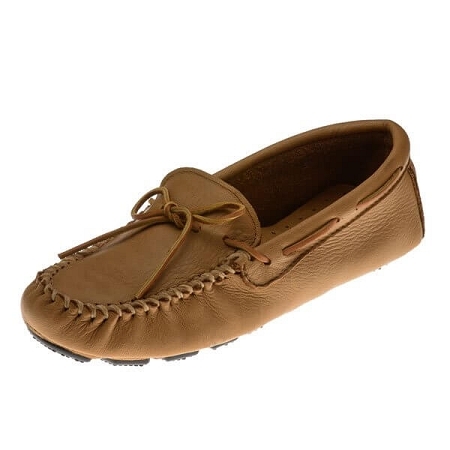 I really like my new moccasins. They are really comfortable right out of the box, no break in needed. Soft cushion insole. Only problem was scuff marks left on vinyl floor, which came off with light Swiffer mop.